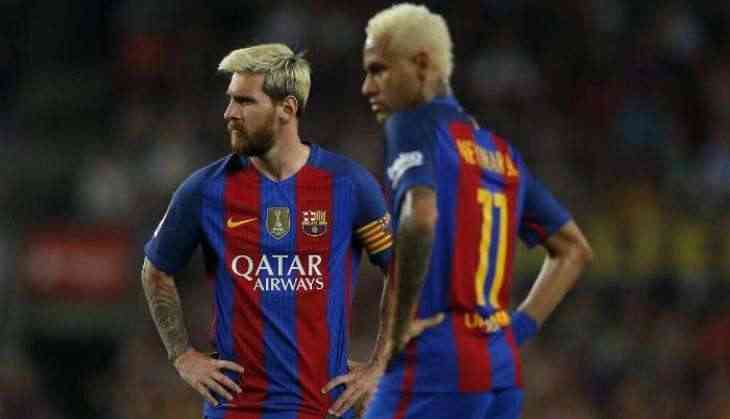 Barcelona will play Brazilian side Chapecoense, whose team was all but wiped out in an air crash last November, in a friendly match at the Camp Nou on August 7. The match will "help pay tribute to the 71 people who died in the accident on November 28th, 2016, as well as their families," the Spanish giants said on their website. "Barca hopes to help Chapecoense rebuild institutionally and recover the competitive level it had before the tragedy," it added. The winner of the match will receive the Joan Gamper Trophy, named after the Swiss founder of Barcelona. Nineteen Chapecoense players and 24 club officials died on November 28 when the team's plane crashed into a mountainside in Colombia. Unsung Chapecoense had been on their way to face Atletico Nacional in Medellin for the biggest match in their history, the final of the Copa Sudamericana, South America's second- biggest club tournament. After the tragedy, Atletico ceded the title to Chapecoense in tribute. Barcelona invited Chapecoense in December to play in its annual Joan Gamper friendly tournament but the exact date of the match had not been known until now.